There's nothing quite like our colorful Tie Dye cover for the Honda Elite. It's such a great retro look, and I'm sorry, just plain FUN. 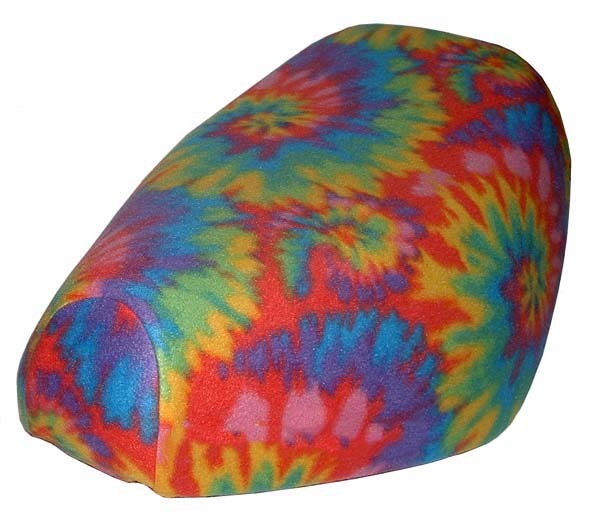 This is a soft polar fleece, and it will keep your seat much cooler in the summer, and if you live in a cooler climate, it will keep your seat warmer! 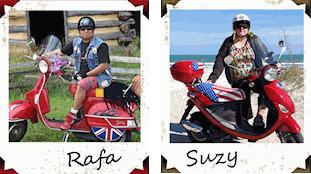 This is a great way to personalize your scooter, and to give it a completely different look! If you like the idea of a fur or fleece cover, we have many other options to choose from in our fabric category.